ABOUT US - Integral Steps, an integrative education non-profit supporting the balanced development of individuals, families and communities, through music, movement, psychotherapy, ecology and creative arts! Colorado and Portland based! ​​focusing on integrative education for individuals, families and communities. Integrating different learning modalities, our programs provide unique experiences that allow participants to feel positively challenged and encouraged to grow. Integral Steps promotes integrative education to support the balanced development of individuals, families, and communities. We offer programs for children, adults, and families, as well as professionals seeking further specialized training in integrative education, child development, and Dalcroze education. Through engaging the mind, body, and emotions in a balanced way, we support individuals in developing strength and resiliency. This allows the use of their full potential to make significant contributions to their community. Our office is in Louisville, CO and we offer weekly school-year and summer programming in Louisville, Longmont, and Superior, CO. We also travel around the country for clinics, workshops, and trainings, and are expanding programming into Portland, Oregon. Balanced - Integrative education simultaneously challenges our intelligence, involves and guides our emotions, and includes the use of our body and our sense. Multimodal - Students learn through a variety of modalities: visual, kinesthetic, aural, social; from parents, from peers, and most importantly through experiences and active listening. Stimulating - As integrative educators we recognize and stimulate students’ potential to grow. Empowering - Students are seen, recognized, and appropriately challenged based on who they are. We aim to build strong and resilient individuals who can make significant contributions to their communities. 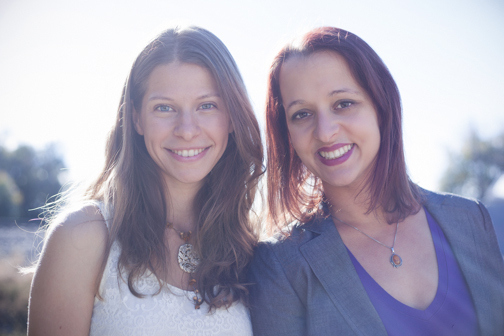 In 2012, Integral Steps founders Alejandra Hudon and Emma Shubin met in Boulder’s Dushanbe teahouse to exchange about their work with children, families, and wish to reach a larger community through integrating their areas of expertise. Emma saw that through her work in Dalcroze Education and developing integrative summer camps, she could reach her student through the natural engagement we have with music and movement, and often observed that her students had preferences for learning through kinesthetic learning, cognitive discovery, or artistic expression, but wanted to gain more tools with how to develop in all three of these areas. Alejandra worked in an in-depth practice of family therapy that included her diverse background of infant massage and coming from a family of medical doctors, but wanted to develop more tools for her clients to use in their daily lives that included experiential, interactive, and embodied learning. The wish to collaborate came from this very first meeting - Alejandra and Emma could see how much they could support each other and were excited to explore a new world of integrating their two modalities of working with families. They embarked on a workshop series with Aurora Mental Health, designing workshops that combines Dalcroze classes for children with parents in attendance, collaborative art projects, and talk back sessions for parents to learn from what they had observed about their children and grow from a new experience of how to interact within their families. The wish to serve a larger community developed into Integral Steps as a nonprofit - a desire to provide a place of growth for individuals, families, and communities. Integral Steps now hosts weekly classes throughout the school year, summer camps, and monthly community events at local businesses, libraries, and children’s museums. As we have grown, we also want to provide a unique place for our colleagues to develop their passions projects and professions in an integrative way. We offer professional development classes for schools, partner with other nonprofit organizations, and support a fellowship program where participants learn about Integrative Education and develop their skill sets.